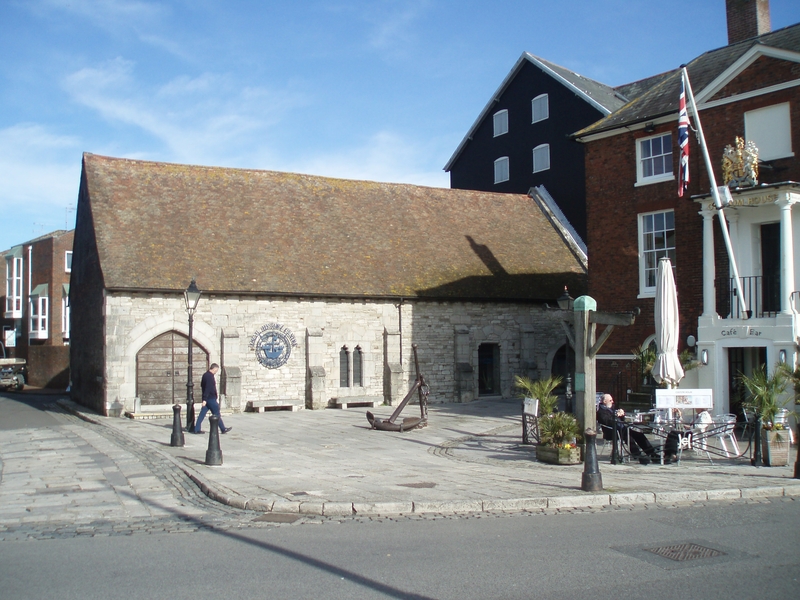 Poole Museum Society is open to everyone having ties with Poole or an interest in its history and heritage. It supports and promotes Poole Museum and its activities (see the aims and objectives below). The society meets monthly from September to April, usually on the 3rd Wednesday of the month, for talks of historical interest, often linked to Poole or Dorset. Talks start at 7.30 pm and are held on the 5th floor of the museum. In addition the society produces a newsletter twice a year and runs a number of visits for members during the summer to local places of historic interest. The annual cost of membership is £10 and members get a 10% discount on purchases from the museum shop. Visitors are welcome to come along to the talks for a small charge (£2 per meeting). 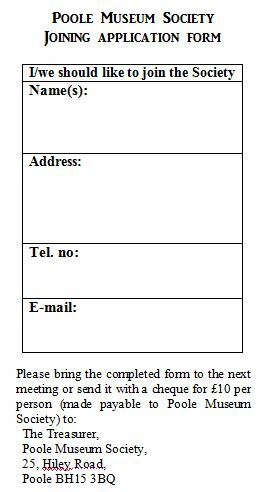 You can join the society at a meeting or by clicking on, printing and completing the attached form. To promote public knowledge, understanding and appreciation of the heritage and culture of Poole. To support and promote the interests and activities of Poole Museum Service. To raise funds for Poole Museum Service. To promote activities that support Museum-related services. To foster contacts with like-minded organisations. To disseminate information about Poole Museum Service and Poole Museum Society and their activities. Try the ‘Forthcoming Society Events’ on the bar beneath the picture above. That should give you all the details.